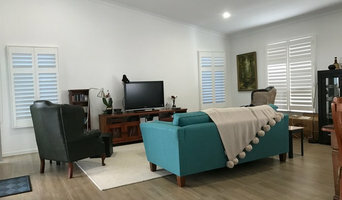 Inhome Décor is owned and managed by a family of Australian business professionals that have been trading for over 30 years. We specialise in custom window treatments and outdoor / indoor living green walls products for the home. We’re so passionate about our products and service that we not only strive for excellence, but are constantly seeking new strategies to enhance our customer care. All Inhome Décor products are sourced from carefully selected suppliers from a world-wide pool. These suppliers are checked for quality, longevity and craftsmanship to ensure our customers always receive top grade products at great value. We stock most of our products, which means you won’t be waiting for your order. Your purchase through Inhome Décor also supports charity. As a second generation family-run business, delivering exceptional customer care and quality products is second nature to us! 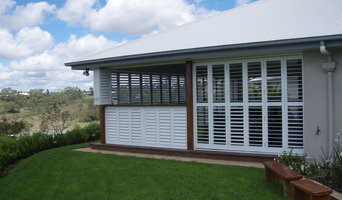 Now under the ownership of Brett and Vickie Nielsen, d-Blinds continues to build on its strong history of providing quality shutters blinds, awnings and shade solutions to homes and businesses in and around the Darling Downs area. Originally established in Russell Street in 1953 by Brett’s parents, Stan and Sis Nielsen, with the first Luxaflex showroom opening in Ruthven Street in the 60s, the venture was then taken over by the current owners more than 20 years ago. After Stan passed away in 1990, Brett and Sis opened a new showroom in James Street before moving to Stephen Street when the company started manufacturing verticals, security screens and doors. In 1999, a fire destroyed the business and Brett and Vickie had to rebuild from scratch, but by 2008, d-Blinds was well and truly back in business, specialising in shutters, awnings, blinds and Venetians and rebranded with its current name. We now operate from our workshop in Gardner Court, Toowoomba, and are continually striving to be one step ahead of our competition. 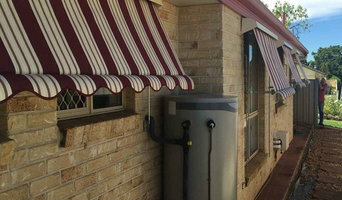 We are proud to have re-established ourselves as one of Toowoomba’s leading suppliers of custom-made shutters blinds and awnings and look forward to adding our innovative touch to your home or business. We also provide a range of DIY installation options with various sizes that can suit your needs; all you need to do is provide us with the size. Owners, John & Fay Burgess continue to strive to be the number one provider of those all-important finishing touches, internal and external, that turn a house into a home. If you’re building, renovating, have an investment property or building a new commercial structure, Complete Blinds & Awnings have the industry experience and products to deliver a first-class finish to your project. We service an area of up to 150km radius of Toowoomba and can also supply to builders, contractors and the general public. Call us today on (07) 4639 2535 or visit us at 122 Jellicoe Street, Toowoomba. We love all things beautiful and complimentary for the home. Inhome Décor is owned and managed by a family of Australian business professionals that have been trading for over 30 years. We’re so passionate about our products and service that we not only strive for excellence, but are constantly seeking new strategies to enhance our customer care. All Inhome Décor products are sourced from carefully selected suppliers from a world-wide pool. These suppliers are checked for quality, longevity and craftsmanship to ensure our customers always receive top grade products at great value. We stock most of our products, which means you won’t be waiting for your order. Your purchase through Inhome Décor also supports charity. 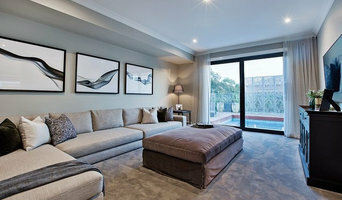 At Express Curtains and Blinds, we specialise in providing Custom-Made Curtains and Blinds. We are a local family business and offer our extensive knowledge in this industry to all of our clients. Whether you have one window or an entire home or office fit out, our product offering is sure to cover exactly what you are after. Charmaine and Emma are qualified interior decorators, ensuring that you have a well-guided shopping experience. Our aim is to make it easy for you to get your home looking wonderful! Whether you know exactly what you want or need some new inspiration, we would love to help you today. We pride ourselves on personalised service from your initial enquiry right through to the installation of your products servicing all of Toowoomba, the Darling Downs and the greater South East Qld region.